Die cutting creates a perfectly shaped product every time. We know this because our materials techs watch over the process with precision and focus. Even with runs of one hundred, one thousand, ten thousand or more, you can be sure that each part is cut exactly to your design specs every single time. Die cutting (also called flatbed die cutting) stamps or blanks out parts, like an industrial cookie cutter. Sharp steel rule dies slice through either single or multiple layers. Computer-controlled equipment makes accurate measurements for both simple and complex shapes. Need an adhesive on your part? Not a problem. We’ll add a layer of pressure-sensitive adhesive for easier application and fewer future steps. Nearly any flexible material can be die cut. We shape foam, rubber, silicone and more every day, but tell us if you need a material that isn’t on our list—we’ve most likely used it before. A die cutting press machine stamps out each piece using steel rule dies—long, sharp strips of metal. The hydraulic press falls vertically onto the raw material as it’s fed through the machine. This vertical, perpendicular motion allows thicker and taller material to be used to make your part. Your finished product comes out clean and even. 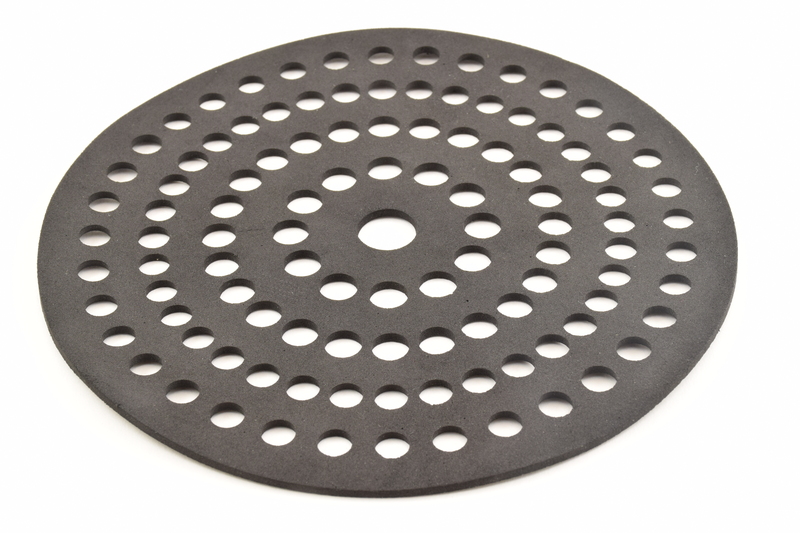 Wondering if flatbed die cutting is right for your parts? Give us a call to talk with one of our engineers. We’ll help you decide which type of shaping is best for your project.